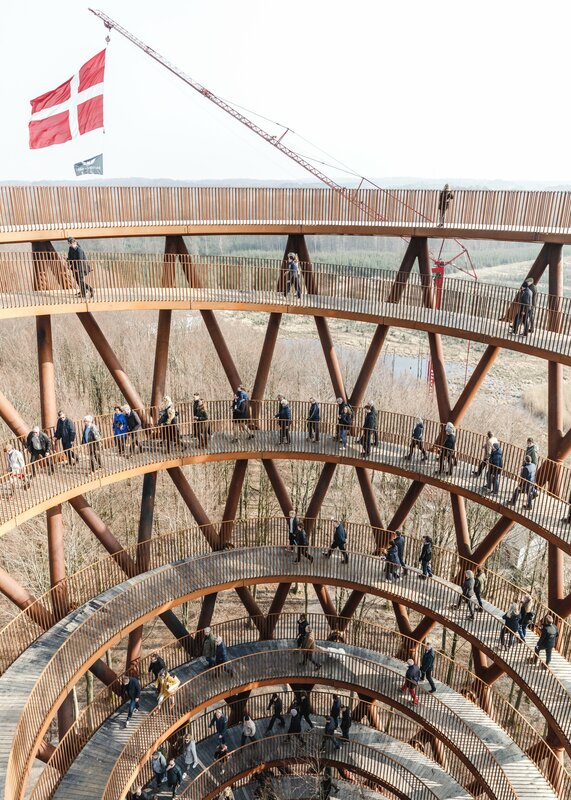 A breathtaking new attraction has opened inside Denmark's Camp Adventure, about an hour outside of Copenhagen. 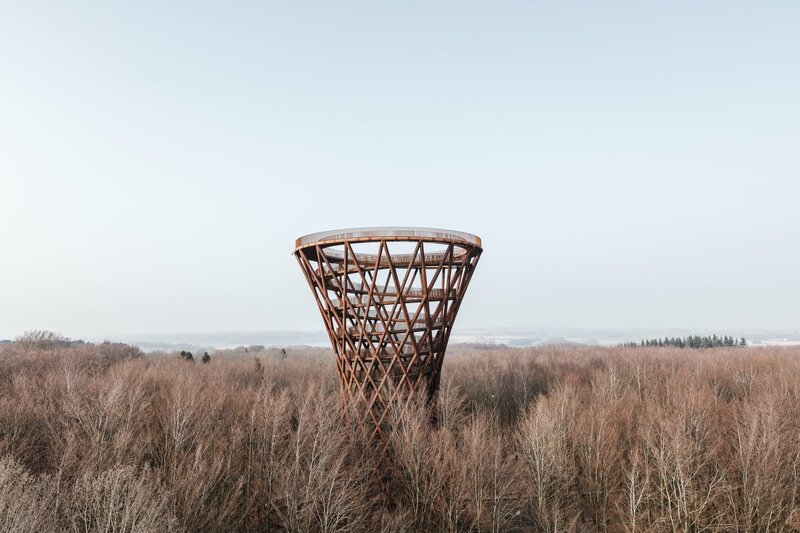 There's no roller coaster tracks or splash zones here, though—it's a 148-foot-high observation tower offering staggering bird's-eye views of the Scandinavian boreal forest canopy. 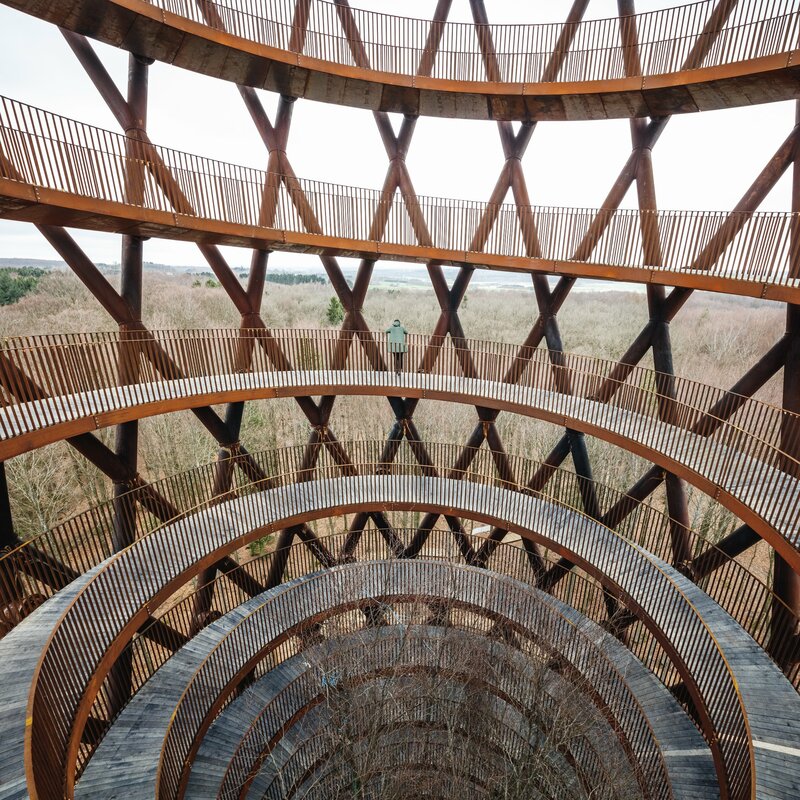 Sitting atop the hourglass-shaped Forest Tower, the platform is accessible via a winding walkway that takes about 15 minutes to ascend and abuts a 3,000-foot elevated boardwalk that zigs and zags between the trees. 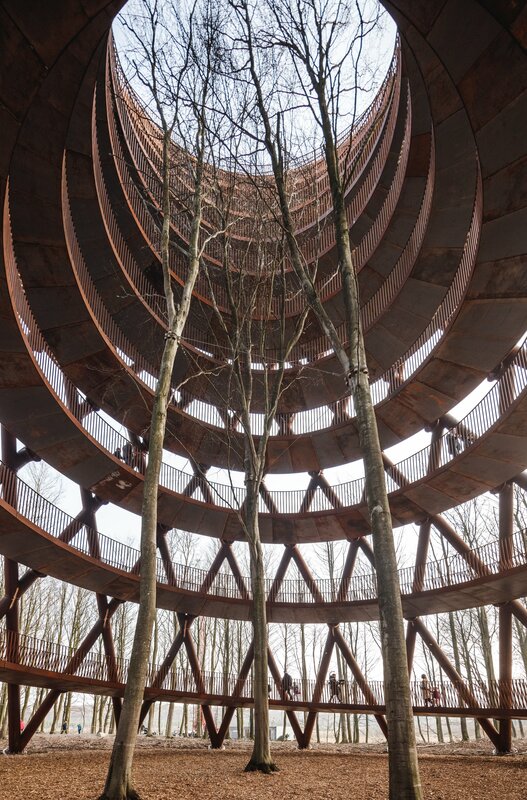 The goal is to make Gisselfeld Klosters Skove forest widely accessible without disrupting the natural environment. 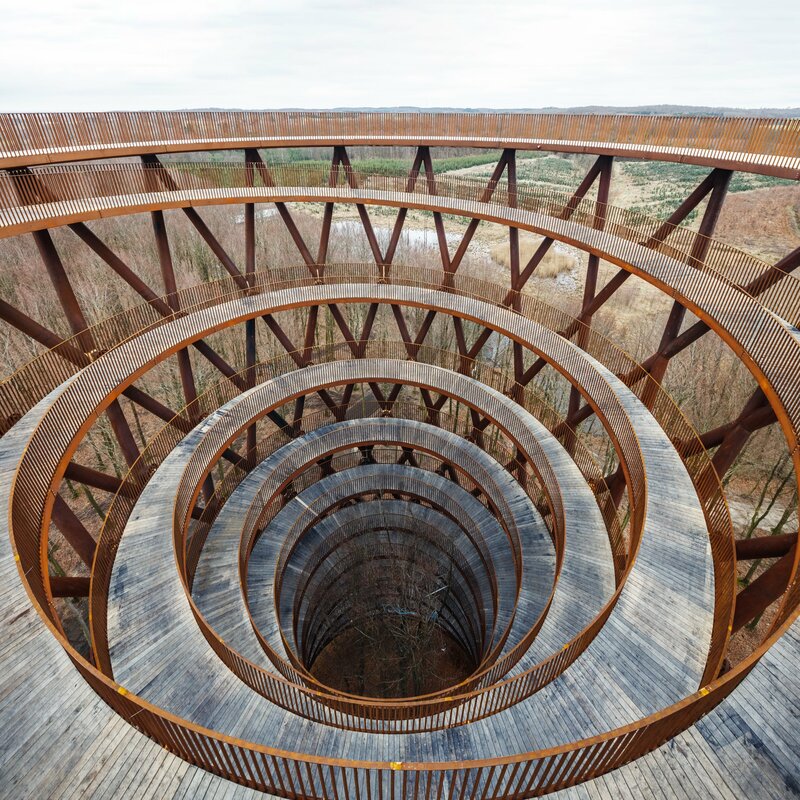 With that in mind, the ramp and tower were constructed by EFFEKT Architects from weathered steel and locally sourced oak, to blend in with the surrounding environment. 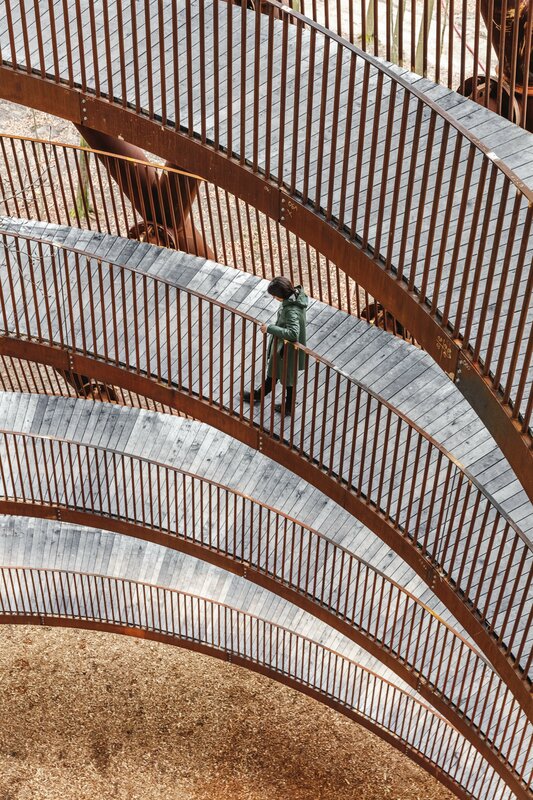 On a clear day, developers say, visitors who ascend the Forest Tower to the observation deck can see can the Øresund Bridge, which connects Copenhagen to Sweden.